Editors Note: Fred Lozano has provided us with the following information about the above photograph. 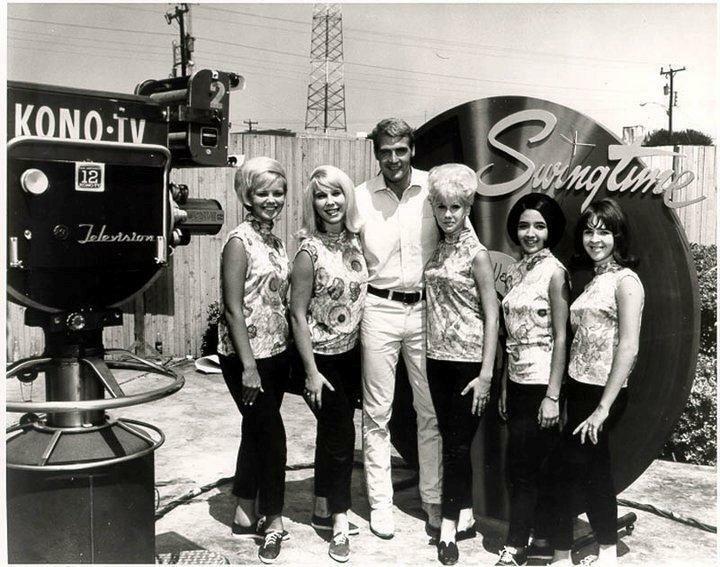 The man pictured in the Swingtime photo is future Six Million Dollar Man, Lee Majors, who made a special guest appearance on the show in the mid-to-late 1960's. He is pictured with some of the SwingTime Show regulars.